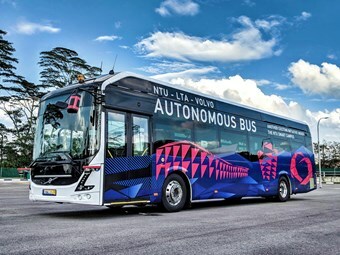 REVOLUTIONARY developments in mass transit technology need to be met with the development of a revolutionary automated transit ecosystem, according to a new report by the Parliament of Australia, released recently. “Ideally, our transport networks will consist of integrated multi-modal networks," said Committee Chair John Alexander. House of Representatives Infrastructure, Transport and Cities Committee Chair John Alexander says if done well, the automation and electrification of mass transit has the potential to make Australian cities and regions cleaner, greener, more accessible and more liveable. "Achieving this outcome will demand vision and leadership from government," Alexander said. "We need to make the timely provision of the supporting infrastructure for the transition to the fuels of the future." The report, titled Innovating Transport across Australia, makes no fewer than 17 recommendations addressing a range of issues around automated transport and alternative energy sources. These recommendations include establishing the Office of National Chief Engineer, developing a new automated transport ecosystem, and developing a national hydrogen strategy. "Ideally, our transport networks will consist of integrated multi-modal networks —systems operating across a variety of transport modes, connected by information exchanges with seamless ticketing." A copy of the report can be obtained from the Committee’s website, or from the secretariat on (02) 6277 2352.